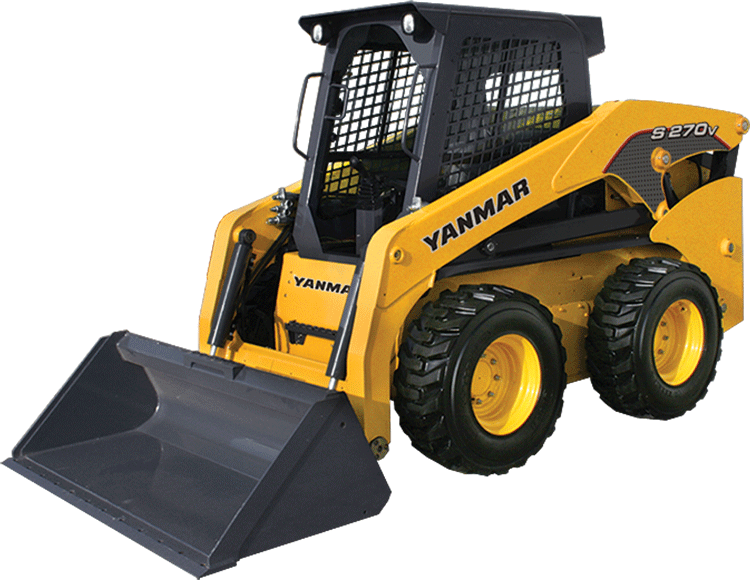 YANMAR has always been at home in the dirt. We’ve been working the land on the world’s farms and jobsites for more than 100 years. For nearly 50 years, our compact construction equipment has been tested and trusted in the toughest working conditions you can find and our commitment to fuel-efficient engines and powerful hydraulics is second to none. ​Following the introduction of the walk-behind dozer in 1967, Yanmar introduced one of the first mini excavators in 1968. These mini excavators proved popular, and since then, Yanmar has introduced a number of firsts to the mini excavator market, including the first swing boom excavator and the first zero tail swing excavator. Plenty of companies make compact excavators, but none can come close to our rich history of relentless innovation. Since introducing the world’s first mini-excavator in 1971, we’ve been a leader in compact equipment. ​Our eight excavators – six with true zero tail swing – are each purpose-built to overcome the most challenging conditions, work with unparalleled power, conserve fuel and provide exceptional flexibility with the same stability and performance you’d expect from more conventional excavators. Our four highly versatile skid steers, ranging from 68.4 to 70.7 hp, are up to whatever daunting challenge you throw at them. ​Each is built around one of YANMAR’s powerful, fuel-efficient Final Tier 4 diesel engines, so they won’t back down from even the toughest job. With rated operating capacities from 1,650 to 2,700 pounds, and two easy-to-operate QuickAttach™ mounting systems, these machines are also rugged enough to handle just about any attachment you need. Couple that with spacious, high-visibility operator’s areas – built for comfort and safety – and you can work a long day without feeling like you did. It doesn’t matter if your jobsite is mud, sand or uneven ground. Our rugged compact track loaders deliver the same raw power, fuel efficiency and versatility as our skid steers, but with durable, high-strength, high-flotation rubber tracks for superb traction and less environmental damage. ​Powered by highly efficient Final Tier 4 diesel engines, they make short work of complicated working conditions. With rated operating capacities of 1,750 to 2,100 pounds, best-in-class reach and dump heights and two easy-to-operate QuickAttach™ mounting systems, you can operate a wide range of attachments to knock out tons of work in no time at all. Plus, the operator’s area is comfortable and spacious with wide sight lines, so no matter how grizzly the conditions, you’ll feel right at home. 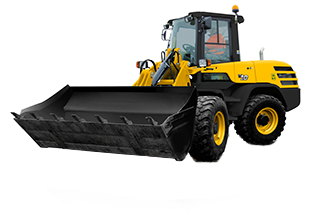 Our all new articulated wheel loaders pack YANMAR’s legendary power and versatility in a compact, nimble package, allowing you to easily navigate tighter spaces. Powered by powerful, yet fuel-efficient, Tier 4 Final diesel engines, they lift and move heavy loads with ease. Instantly switch from Fully Automatic Mode to Fixed Speed Mode for maximum torque in tough conditions. Save time with YANMAR’s innovative Auto-Leveler that quickly returns the bucket to the digging position in a single motion. A comfortable, spacious cab and an oscillating rear axle keep you from taking a pounding on slopes and bumps, and you’ll stay sharp and focused all day long.